Properly insulating your home reduces heating and cooling costs, and improve comfort. R-values measure a material’s resistance to conductive heat flow. The higher the R-value rating, the greater the effectiveness of the insulation. 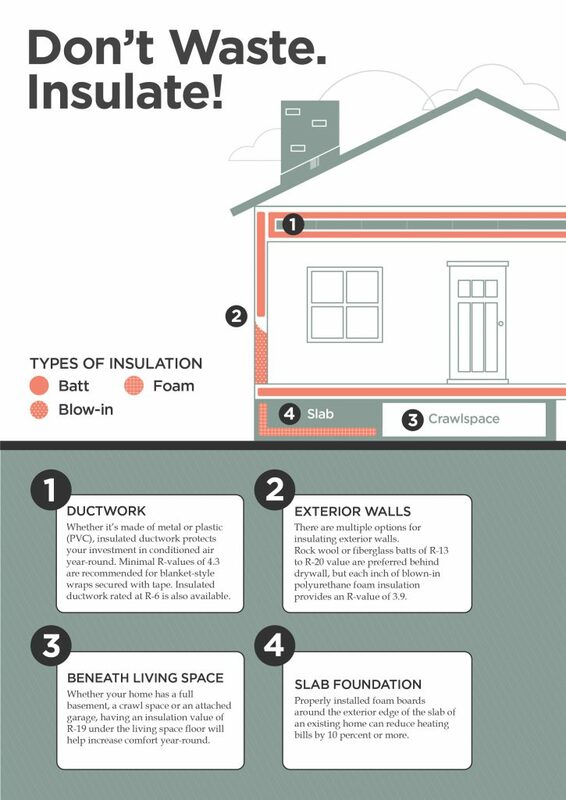 Below are recommended R-values for areas of the home that should be insulated.